Categories: Cards | Tags: Card making, Cards, Get well, oxide inks, rubber stamps, stamping, Thinking of you | Permalink. I love this! Your background really captures the photo and I think your water spots are perfect! 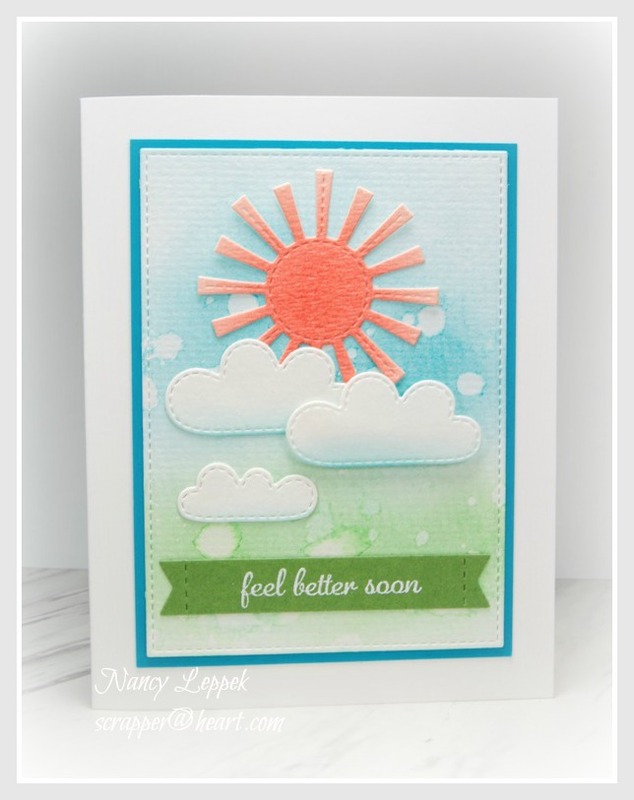 This card will bring a big smile to whoever receives it – its a perfect get well card! Beautiful card and a great interpretation of the photo. What a pretty summertime card! Love the watercolored background! This is beautiful! I love your soft background, including the waterdrops. Beautiful shading on the sun and clouds, too. I love this…the colors are gorgeous and it is so serene and peaceful! Love your “sun”! Happy Sunday! Going to watch my grandsons motocross race (always makes me a little nervous to watch that…all those jumps and speed, scary…! But I have to support all the grandkids in their passion, right? Super sweet card Nancy. Great layout. Nancy! I love that you took the colors and got a total different look than the rest of your team. Loving the background and the lovely scene with the clouds. The bright orange sun, really sets it off. This is a winner and I am pinning! I love your take on the photo. Those soft colors are so pretty and I love your water drops. They really add some interest to the card. Beautiful card! The colors are wonderful, Nancy, and the way you were inspired by the photo is so creative. Well I can say I LOVE IT!!! What a great take on the challenge, picking up on the colors is GENIUS!!! 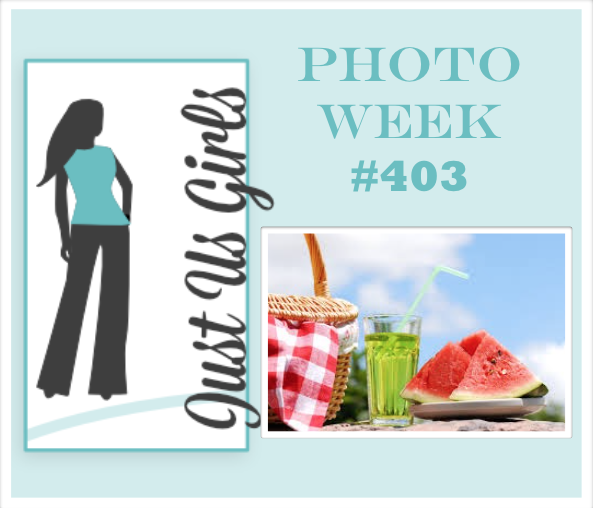 That’s the fun of a photo challenge…we can do anything we want with it. I love your design with the soft background and that sun is perfect. Well done, my friend!!! I love this, Nancy! Fabulous scene and the background is awesome!